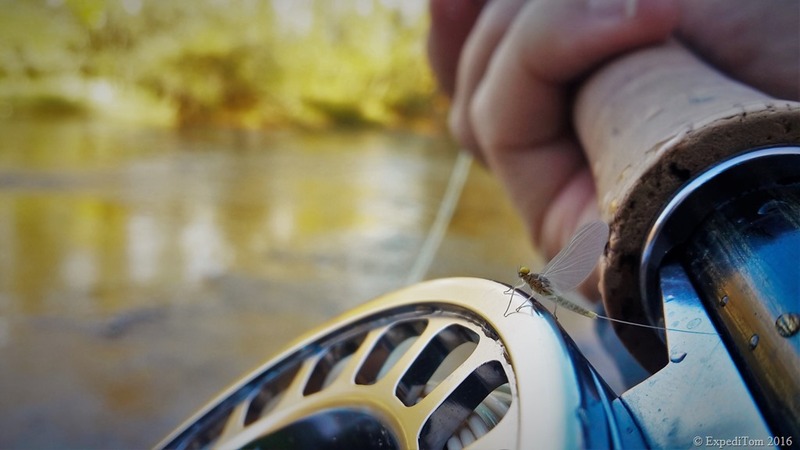 Mayflies are among the most common insects fly fishermen try to imitate. One imitation of a mayfly is the olive dun with mallard wings, which represents for instance a Scambus Mayfly as can be seen below. During the grayling season I had huge success with this pattern and fell in love with it. Thus, I want to show you how I tie this pattern. This pattern is one of my favourite of 2016 and I tied them from size 14 up to 18, where it becomes quite difficult with the peacock quill. Yet, they still look gorgeous. Due to the mallard wings, the fly is visible over a remarkably long distance. Moreover, since the last Jura backcountry fishing trips, I believe that wings are one of the most crucial items in a fly imitation. This theory arose while we fished a totally destroyed royal wulff until barely anything was left on the hook. Still, we caught fish, as long as there were wings pointing upwards. This pattern can easily be adjusted to your needs. For example, if you exchange the peacock quill with some cahill coloured dubbing you will have the classic pattern of a Light Cahill. A timeless fly. 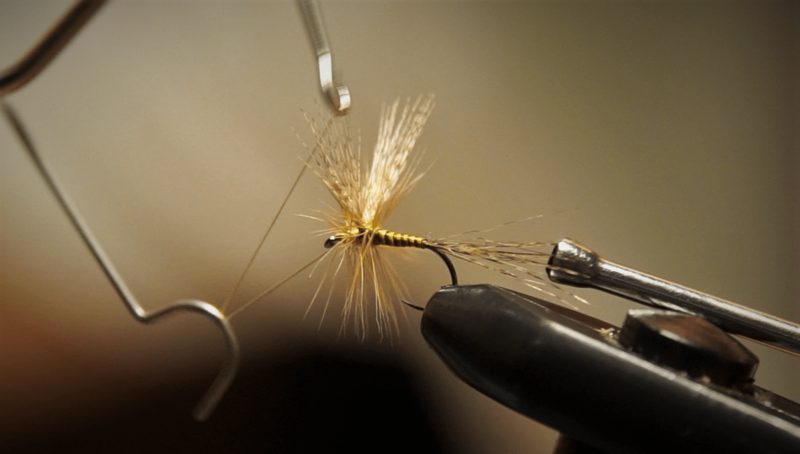 When tied in size 14 with a bushy dry fly hackle this fly swims superb. Then, I often like to fish the olive dun in a tandem rig. For example, with a tiny bead head nymph as dropper. This is a great combo and very popular in New Zealand.